In order to reduce dependence on private health infrastructure in the city, the National Health Mission is steering the diagnosis of lifestyle diseases to the Non-communicable Diseases (NCD) clinics at the district hospitals and four Taluk hospitals in the dictrict. Lifestyle disorders like cancer, diabetes, hypertension, cardiovascular diseases, strokes, can now be detected in time at the district level clinics and hospitals. These tests will be conducted free of cost. Under the new objective of enhancing treatment facilities at the taluk hospital, the NHM will also set up NCD clinics at the Vadakara district hospital and Taluk Hospitals situated at Koyilandy, Perambra, Kuttiyadi and Nadappuram. In addition, doctors, staff nurse, dietician, and a data entry operator will be appointed to make an effective use of the clinics being set up. For the purpose, a budget of Rs 1 lakh has been allocated for each clinic at a hospital. As reported by TOI, the NHM had set up the NCD clinics at the Community Health centres four years ago as part of the launch of the scheme. The NCD clinics at Taluk and District hospital are being introduced for the expansion of the scheme taken to upgrade the treatment facilities at the hospitals. 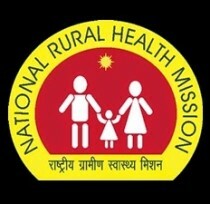 Dr A Baburaj, NHM district project manager said that patients detecting with dreaded diseases or need further treatment will be referred to doctors at the district or medical college for further treatment. “The clinics will commence its operation before the end of this month,” he said adding that the NHM has already started deploying required staff for the effective functioning of the centres.